Google Cloud hosting that scales with your business. development teams you get an unmatched control over your store. We implement the optimal cloud hosting configuration. Google Cloud, Kubernetes, Docker, Redis, PageSpeed, SSL, http2, CDN. Make it yours! All at a glance: Monitoring and backups with every account, 24/7 Support. Any issues can be resolved by BuildaTeam DevOps Engineers and Developers, so you don’t have to worry! Easily manage sudden spikes in traffic to your website. We automatically adjust the required number of servers so your site never crashes. Don’t ever stress about holidays or big marketing launches again! These tests were of the average customer and not the geeks that want an extra 0.2 seconds in speed. This is why we tested with an active website that mimics a real-life situation. 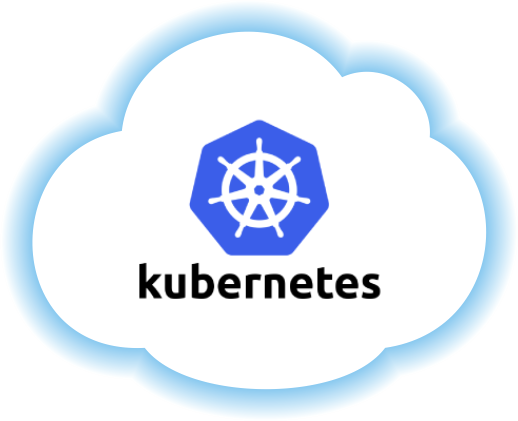 In this diagram a detailed overview of Kubernetes application is shown. Google’s worldwide infrastructure consists of Regions and within those regions, exist Zones. Google offers several connectivity options for physical connectivity through direct peering or Google Carrier Interconnect across multiple geographies. Virtual Private Networks can be built on top of this physical layer and the Cloud Router is available to manage dynamic routes using BGP once that connection is configured. Public Internet is also an option. We Work With the Best: At Buildateam, we are committed to bringing you the best services available. This includes partnering with the top names in web hosting and hiring a team of professionals to help meet all of your e-commerce hosting needs. Our team will be there for you 24/7 to answer questions and help tackle problems should any arise. Top-Down Organization: Running a successful e-commerce site takes several programs and servers. Our top-down pyramid organization helps to ensure that everything is compatible and optimized to run smoothly. Speed: Thanks to our partners and our dedicated experts, we can offer hosting that is up to ten times faster than other companies. A slow website can be a major customer deterrent, which is why we do everything we can to optimize speed and help your business succeed. Autoscaling: Every business has peak hours and slow times. When a site has too many customers, it can and will crash without proper measures which can lose you valuable customers. With Buildateam’s hosting options, you never have to worry about your website crashing during a busy day with autoscaling which automatically devotes more servers to the upkeep of a busy site while that site stays busy. This helps your site run smoothly even if you get an unexpected rush. At Buildateam, we are committed to your business success. Call us today to see what we can do for you!